Re-Commit To Your Resolutions With the Help of Stop & Shop! It's three months into the year and about that time to give yourself a reality check about your New Year's Resolutions! Are you eating healthier? Are you losing weight? Are you exercising more? If you aren't actively reaching for your goals, the good news is that you still have a lot of year left! It isn't too late to start NOW! And Stop & Shop is ready to help you with their 375 retail stores throughout New England, New York and New Jersey. They offer many organic and healthy food choices. Whether the resolution is to lose weight, eat healthier or snack smarter, Stop & Shop offers great products to meet all those goals! 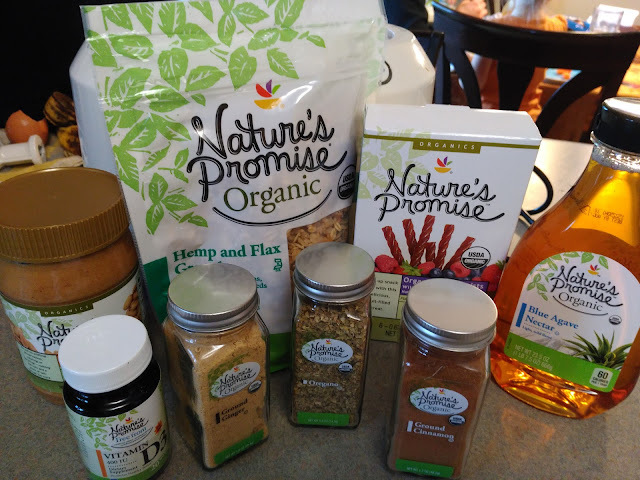 Stop & Shop offers some tasty organic foods that my family has really been enjoying from snacks to spices, they have a great selection and it can really help inspire some tasty and healthy meal ideas! I love that they offer such a wide range of organic and natural products! The Vitamin D was great as we wait for the sun to appear on a regular basis. And the spices are something I use every day! And for snacks and baking, we use the peanut butter, granola, and blue agave nectar! Such great healthy items! Nothing makes me happier than when I go into a grocery store and know that I can find whatever I need...and have it be organic! I really appreciate retailers that are caring about our bodies and health! Thank you Stop & Shop for being one of those great, caring retailers!! !